The main idea: to hold someone in esteem is to hold them over you. Rephrased: using someone as a “maker” in your life. Speaking of plotting. The schemes of man look especially good when a leader or public figure touts them, don’t they? When we don’t see a way, we’re so relieved to find that someone else has created one. That’s way easier than accepted “no entrance here” from the Lord. One of the things about making something is having intentions for it. It’s so tempting to allow others to shape our motivations and methods after their intentions. That’s typically a golden ticket to acceptance, after all. We would love nothing more than for a person we respect to tell us they want to use us and have plans for how. If they would also devise the method and guarantee that they would make a way no matter what, we’d be floored. We seek that. We ask questions of people we respect or see as authority figures because we’d like for those we hold in esteem to value, use, teach, lead, and accept us. What’s so silly, though, is that we seek this from man. Mere man, who is as fleeting as we are, when we have this from God. And the truth is: God offers all of this. The one we ought to hold in esteem, who is everlasting and perfect, is worthy of the esteem. He’s our true maker, and oh, does He live up to every bit of this that we seek. Hi! I’m your neighbor over at TellHisStory, and I’m thankful for stopping by here. These thoughts jumped out at me tonight: “The one we ought to hold in esteem, who is everlasting and perfect, is worthy of the esteem. He’s our true maker, and oh, does He live up to every bit of this that we seek.” Yes! This is so true and good! 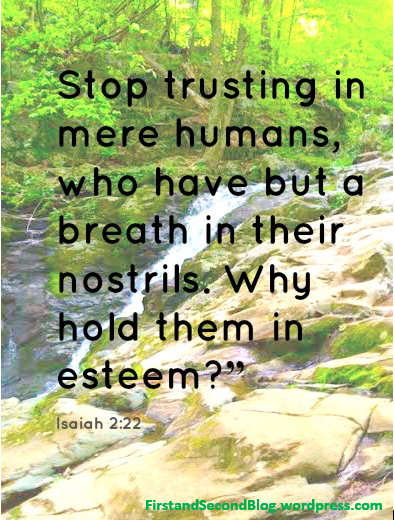 Why are we so prone to quickly place that esteem in man, and set aside the esteem that our God deserves? Thank you for sharing these precious truths, I want to continue pondering them! –Blessings to you! He is definitely the only one worthy of our esteem. Yet scripture says that when he came to this world, “We esteemed and honored Him not.” (Isaiah 53) Yet now He sits high and exalted, the ONLY ONE with the perfect plan for us and perfect thoughts toward us. Thanks for sharing your thoughts. Yes, yes, yes!! His love and grave are so expansive and tremendous. Thanks for highlighting this, making me excited Betsy! Wow, what a great post. Thank you for adding it to the #RaRaLinkup. Amen, God is the One worthy of our esteem! Blessings to you. Thanks for sharing at #LMMLinkup!